Sportsmanship, close competition, and adverse weather were the themes that ran through the 2011 944 National Championships. Through rather diabolical conditions, at a track known for being treacherous in the wet, 944 Spec competitors proved that clean & close racing can be done, even at the highest levels of club racing. 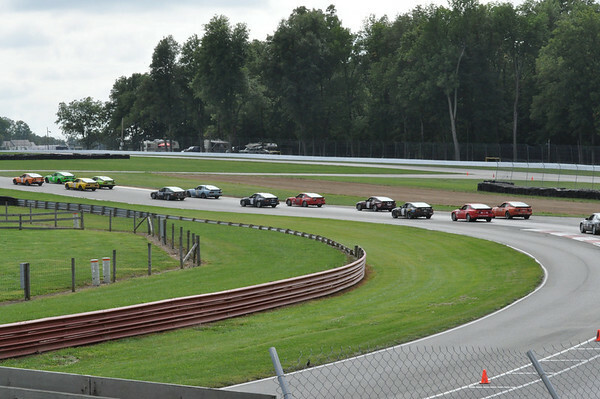 After some last minute pre-event attrition, 15 cars started the event, and through 4+ days of fierce on track competition, there was no damage from car to car contact, no passes under yellow, or DQ’s for any reason. 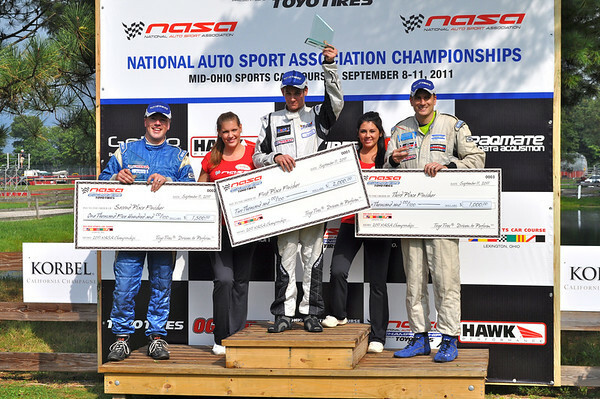 Thanks to heads up driving and excellent trackside support from the Bennington Motorsports team, every last one of the cars was on track for the big event – a remarkable achievement. Kudos all around! NASAAZ hosted another summer morning event at Firebird West Course on August 20-21. With action starting at dawn and wrapping up by 11ish, a qualifying race on Saturday and race on Sunday it was a fast paced weekend. The small bore race group included spec 944, 1 spec Ford, 1 Honda, and 2 spec rx7s. Joining the spec 944 group was NASAAZ boss Tage Evanson borrowing Dave Hauck’s rental 944 (8), along with first time 944 racers Rob Giorgio (489) and Pete Dimuzio (4). 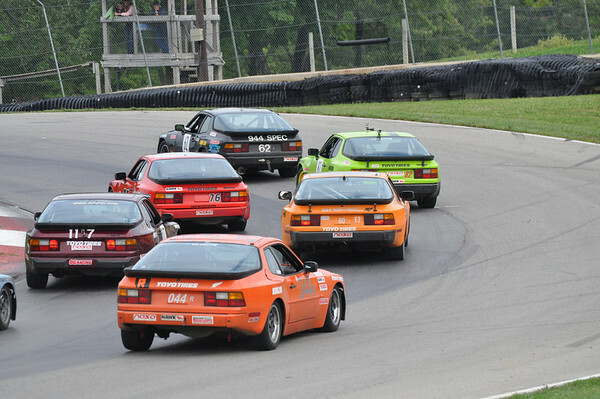 Please join us October 29-30, 2011 at Infineon raceway for the sixth annual running of this 944-SPEC CASH race. Out of region 944-SPEC racers welcome! We feature trophies for 1st thru 5th along with CASH and Toyo bucks for each Saturday and Sunday race. Saturdays awards ceremony will also feature a a random drawing of a ESS 2.3 Fire suppression system value at $413 and donated by ApexPerformance.net. There will also be a Saturday random drawing for CASH and prizes for finishing position 6th thru Nth. We want this to be a fun event and everyone to have a opportunity to win something regardless of finishing position. 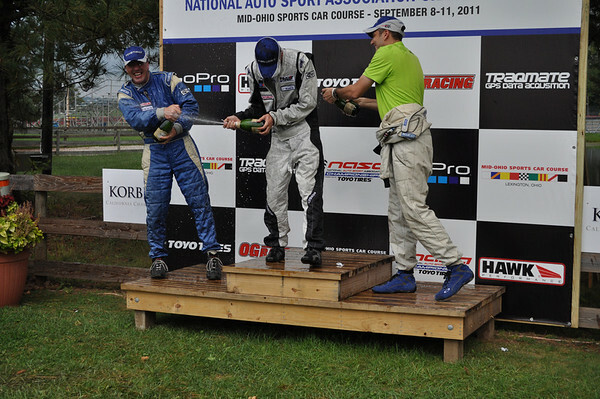 Gingerman Race weekend was a blast with seven 944-Spec Midwest drivers joining the fray. The weekend started out with warmer than expected weather. The 944 compound was convening to discuss pre-qualifying details when mother nature decided to pull up and lift the 944 tent complex, where she then proceeded to throw it at the 944 gang, with Ray Freundt's brand new rig valiantly taking the brunt of the hit. This may have been an omen of things to come. Stormin Norman steals the show! NASAAZ summer events are always exciting as we try to beat the heat by starting at daylight and wrapping up by noon. Track temps. rise quickly making it a challenge as the traction and tire temps become a factor. June 4-5 was no exception, with a qualifying race on Saturday and race on Sunday. The field was literally reversed more than once with great racing and a little bit of drama too.